After you cross the Golden Gate Bridge, exit at Alexander Avenue, cross under the 101 and transform on Conzelman Road to start the crash into the Marin Headlands. In case you're out and about at dusk, park at Battery Spencer and take the short way to a Golden Gate perspective that puts pretty much all other picturesque sounds and scaffolds to disgrace. Mountain biking was conceived in the 1970s a couple of miles from here in Mt. Tamalpais State Park, so why not meander the Marin slopes yourself? I leased a bicycle ($75 for the day from Bicycle Odyssey in Sausalito) to attempt the moderately new Dias Ridge Trail. 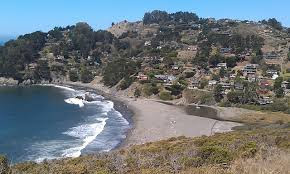 I began at Muir Beach, moved into the slopes on the Middle Green Gulch Trail, took after a seven-mile circle, increased around 1,000 feet in height, then zoomed around method for the Miwok Trail and Dias Ridge, which is interested in bikers, climbers and stallions. (A portion of my course was inside the GGNRA, part outside.) There were perspectives of the slopes and the removed Pacific, alongside inaccessible looks of Muir Woods. Most trail aides call Dias Ridge a moderate ride, yet the course beat me down. At trail's end (Muir Beach once more), you can rest and recover at the Pelican Inn, a neo-Elizabethan bar in which numerous a mountain biker has brought down numerous a half quart. At the Muir Beach Overlook, a feign top you can reach by climb or auto around a mile west of Muir Beach, there's an extraordinary display of crude coastline, with no indications of human advancement. Information. Saddle up at Miwok Livery Stables ( 383-8048, www.miwokstables.com) in the Tennessee Valley, around four miles northwest of Sausalito, and soon you'll be clopping along highly involved with moving slopes and old dairy ranches. The Marincello Trail, named for a defeated land improvement that would have added 30,000 inhabitants to the zone, is one of three riding choices from the stables, which has 42 stallions. Driven by teacher Kendall Robinson-Clarke, picture taker Brian van der Brug and I spent a hour riding out and back on Old Springs Road ($100 per individual), relishing peekaboo perspectives of the ocean and city high rises. I particularly preferred the way Robinson-Clarke immovably taught passing mountain-bikers to stop and walk their bicycles past us. The redwoods here are antiquated and colossal. Yet, be cautioned: Muir Woods National Monument isn't too huge, and there isn't much stopping, which implies that autos park up to two miles away nearby the slender district roadway. However once you're inside, gaze upward into that taking off shade and cast your brain back 110 years. 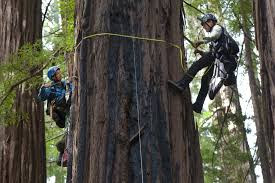 That is when Marin County altruist William Kent purchased a forest 12 miles north of the Golden Gate and gave 295 sections of land of old-development trees to the government. From that point forward, the forest was named for John Muir, assigned a national landmark, extended to 558 sections of land and fused into the GGNRA. There are just six miles of trails in the forested areas, however a brook burbles through, and together, the trees make a common church building that scents of clammy bark. In coming weeks, NPS and district authorities will boycott some roadside stopping. Touch base as near the 8 a.m. opening time as you can or get a Marin Transit transport from a close-by pickup point. 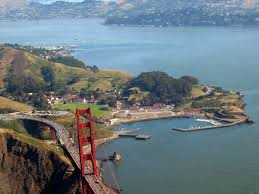 This 335-section of land lump of area only north of the Golden Gate Bridge was an Army base from 1866 to 1994 and was added to the GGNRA in 2002. Without seeing, you've most likely passed it while in transit to Sausalito. You can take your young children to the neighboring Bay Area Discovery Museum. Alternately work up a thirst with a mile-long circle trek on Drown Road and the Chapel Steps Trail, which begins with a move through an eucalyptus forest close to the historical center. Parched at this point? Head to the furthest end of the parking area, where Travis Air Force Base still works a little marina and bar on the east side of Horseshoe Bay. Open to general society Thursdays through Sundays, the Travis Marina Bar, a.k.a. Presidio Yacht Club, is not entirely obvious. Be that as it may, inside, a few tables offer extremely valuable perspectives of the Golden Gate Bridge. The inside and costs are refreshingly unprettified: draft brews, $5. It's not Machu Picchu, but rather the site of Sutro Baths, on San Francisco's west drift close to the end of Geary Boulevard, is justified regardless of your archeological investigation. In the 1890s, engineer Adoph Sutro assembled seven swimming and dousing pools comfortable sea's edge. They were a major hit. And after that they weren't. Over decades the showers weakened, and in 1966 there was a flame. After seven years, when the GGNRA was made, the solid Sutro ruins turned out to be a piece of the recently ensured region. It's a kick to pick your way around the pools and disintegrating dividers and ocean feathered creatures. Be that as it may, regard the waves — they get huge. Next you can join the Lands End Trail, which leads along a feign top with a perspectives to the Marin Headlands. By car, follow the Great Highway south along the shore and stay right as it turns into Skyline Boulevard. That route takes you to Ft. Funston, where hang-gliders fly from 200-foot, ice-plant-covered coastal bluffs. Near the bluff-top observation platform, a steep sand-ladder path (planks connected by steel cables) winds down to another mile or two of wide beaches. On the day I visited, no one was in flight, but a bevy of dogs and dog-walkers scampered in the sand and shallows. I climbed down, turned left and soon was meandering among a dozen old pilings from some long-ago pier. The place felt like the end of the Earth, but no, it's just another far corner of that territory known as the Golden Gate National Recreation Area.